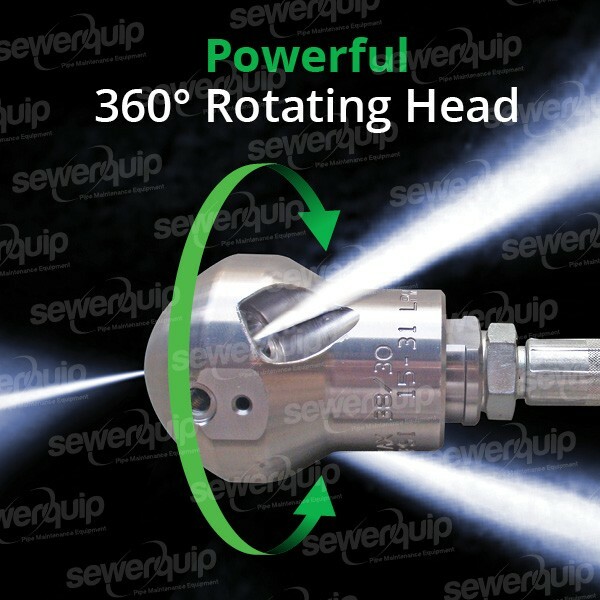 The M3 Rootax nozzle is a controlled rotation root cutting nozzle with adjustable speed limitation. Due to the controlled rotation speed, the M3 ROOTAX nozzle is one of the most powerful root cutters on the market. The nozzle is fitted with a life time maintenance free high pressure seal for minimum down time. Fitted with long life ceramic jets suitable for recyclers and supplied with skids. Made in Germany.